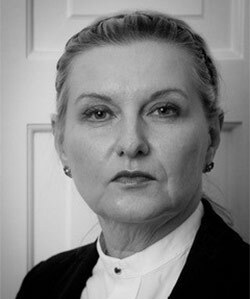 Cheryl is an experienced barrister practicing in the areas of Chancery and Family Law and has a practical and down-to-earth approach to all her work, coupled with intellectual rigor. She also sits as a Recorder and a Deputy Insolvency and Companies Judge, sitting in the High Court. Cheryl’s judicial experience, coupled with an ability to think laterally gives her a real advantage when acting as a mediator. She understands the day to day concerns of the lay client and the sensitivities ADR can bring, and as such is willing to take as much time as is necessary to reach a resolution - at times taking the less travelled path and looking at creative solutions to the apparently insoluble. She is flexible in her approach and appreciates that even in apparently straightforward matters, there may be underlying emotional issues which have to be acknowledged and addressed in order to give the best chance of settling the actual legal issues. In those matters, Cheryl will address and value the emotional issues, without allowing them to get out of hand or to interfere with a sensible settlement. Where the issues are practical or legal, she will seek to assist the parties to look at alternative solutions of ways of solving them. It is her experience that it is often the issues that appear to be trivial which are of greatest importance to one or more of the parties. Cheryl encourages parties to resolve matters in a sensible and workable way, reaching an agreement which is clear and unambiguous. Where necessary she will assist with the drafting of an agreement.